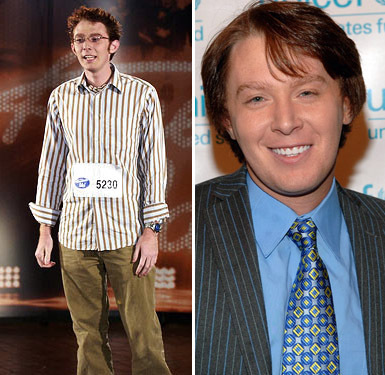 Clay Aiken Then and Now. . Wallpaper and background images in the American Idol club tagged: american idol clay aiken. This should be removed as it is no longer Then and Now...The "now" picture is 3 years old. How about a now picture of when Clay was on AI a couple of weeks ago, or one from his visit to The Office last night. That would be a Then and Now.